I took alot of time on Wookiepedia researching this to make my character fit, so I don't really give a damn what you think about him. An likeable guy, Calus is famous in the Order for his dry humour whenever he is a tight place. He has a warm personality, but will only open up to people he truly trusts. He'll usually be found with the younglings whenever he visits the academy, assisting them in their training in the Force. Born on Chandrila 4,003 years before the Battle of Yavin, it was observed by a local Jedi that Calus was an extremely gifted child. Powerful in various arts of the Force, the Master suggested to his parents that the young boy attend the Jedi academy on Osuss to train in the ways of the Force. He was taken to the academy at the age of 5, and trained for two years. His training was cut short, however, when Sith forces under Exar Kun beseiged the academy in 3,996 BBY. 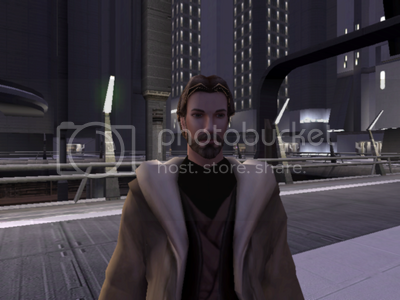 He was loaded onto one of the evacuation transports, and taken to the newly constructed Jedi Temple on Coruscant while the First Sith War came to a close. He continued his training, eventually adopting the Niman/Jar'Kai lightsaber style, better known as Form X, in which the user wields one blade in each hand. Calus also trained to be a Jedi Consular, one of the more mysterious classes of Jedi who study the Force in various ways. He eventually completed his training on Coruscant, having followed his master around the planet for several years, and at the age of 21 he was knighted in the Jedi Temple. After his knighting ceremony, Calus began travelling the galaxy. He mostly travelled around the Core, and he kept a vacation home on his homeworld Chandrila. He occasionally went into the Outer Rim, checking up on various worlds in the area. 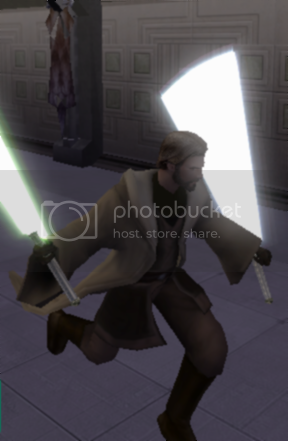 One of his favorite areas to visit was the secret enclave on Dantooine, where he would help the resident masters train young padawans in the ways of the Jedi. He was reportedly a favorite of many of the younglings due to his charismatic and warm personality. In 3,969 BBY, at the age of 34, Calus was granted the honor of becoming a Jedi Master. He served the Order with distinction, taking part in many different diplomatic functions. He continued to travel the galaxy, taking a young Corellian Jedi named Kar Jacea as a padawan. He and his apprentice would travel the core, carrying out the wishes of the Order. However, this was not to last. 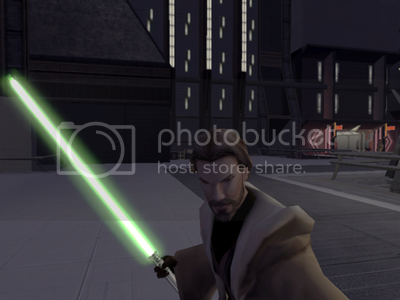 In 3,963 BBY, young Kar was seduced by the Jedi Malak to join Revan's forces in the Mandalorian Wars. Calus begged Kar not to go, but Kar's mind was set on the glory of combat. Kar was later slain by Mandalorian forces at the Second Battle of Taris. Devastated over the loss of his padawan, Calus vowed to never take an apprentice again. Calus continued his wanderings throughout the galaxy alone, until 3,959 BBY, when the Jedi Civil War began. Having turned down an offer at a seat on the Jedi Council, Calus instead took an offer to be stationed aboard the Republic Hammerhead-class cruiser Illustrious. Officially, the commander of this vessel is Captain Gavin Hrakkert, but Calus had since taken the rank of Jedi General in the Republic military, and had been given unofficial command of the ship and her small compliment of fighters and troopers. He would lead the ship into battle in the Jedi Civil War against the Sith forces. Outnumbered and outgunned, Calus often used cunning tactics to defeat the Sith forces in each engagement. Republic ship Illustrious, bottom right. 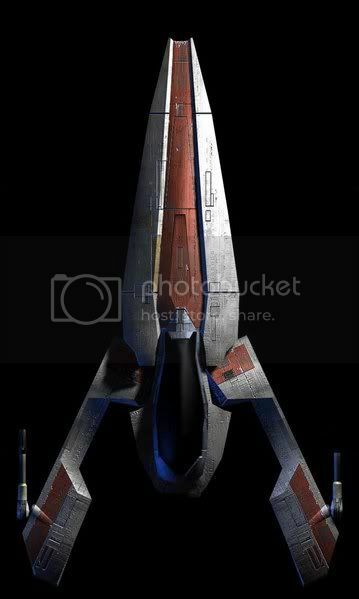 This modified Republic A-Wing fighter is used by some Jedi in the galaxy. It was modified so it was in possession of a light hyperdrive, and was able to hold more gear than a regular A-Wing. Master Obren's fighter takes up some of the limited hangar space aboard the Illustrious, along with two other A(J)-Wings and two light planetary shuttles. Edited by crave22, 20 June 2006 - 03:30 PM.